The story I’m writing you today begins in Bari, Italy. This second-largest town lies along the Adriatic Sea in southern Italy’s Puglia region. It’s an ancient city featuring layers upon layers of historical artifacts, including an impressive 11th-century Romanesque cathedral. Recent archaeological excavations have discovered lost Roman ruins as far back as the 2nd century. On top of its historic monuments, its known for the final burial place for St Nicholas (otherwise known as Santa Claus). Bari is more then just a trading harbour, it’s a treasure of Roman history, just waiting for its past to be revealed. Bari is also referred to as my name. The day I was born, my mom felt it important, my name resembled her memories from this busy port side city, Bari (Latin: Barium). She told me once I was a descent to Maio of Bari (Italian: Maione da Bari) who apparently was a great admiral of Sicily, way back in the 1100 century, and lived in Bari, Italy. I never could find out if this was the actual truth, or my mom exaggerating about her Italian heritage. All I really knew, my name Bari, was only part of my name, according to Roman tradition. My rightful name is Michael da Bari, under the wing of Archangel Michael, another badass warrior, working for GOD himself. In the book of Revelation, Michael takes on Satan during the war in Heaven. As like any good action story, Michael defeats Satan and sends him and his fallen angels to Earth. And this is where my story takes on a darker side. You see, throughout mankind’s history, the innocent have and are still being accused of wrong doing. Be it for the taste of greed, a narrow-minded view, the lust for fame or just plain evil intentions. Whatever may be the case, their willful act leads to the conviction of the innocent. Even if evidence points to the truth, authorities of power will easily convict an innocent soul, simply because they don’t want to admit their mistakes. Suddenly, a narrow-minded mistake grows into a web of lies and cover-ups. God forbid they admit their mistake! It may start out as a determined detective or prosecutor trying to solve an heinous crime. In the beginning…they have good intentions, trying to find clues to solve a murder. But somewhere along the way, either their lust for fame or a promotion, leads them down a darker path of wrongful convictions. It’s these cold-hearted individuals who grip onto the power of control, blinding themselves from the rightful truth, seeking justice as they willingly destroy innocent souls. They will even use unmentionable tactics, like convincing the individual they have aids, when in fact, it’s a complete lie. It’s a web of deceit. Unfortunately, innocent individuals become prey, like a leopard hunting for an unsuspecting gazelle. They seem to zero-in onto their target, without looking at the facts. As for the young gazelle, they aren’t aware how far a person will go to satisfy their ego, thinking all this time, they’re being led down a path of beneficial advice. Without being alerted of their evil ways, a power of authority will manipulate the innocent into a false statement, in order to solve a dreadful case of horror. It’s a case of injustice, not only for the innocent, but a complete disrespect for the victim or victims. Yes – the poor victim. Lest we forget. The victim was a warm blooded human being ; a living soul whose life was cut short due to the monstrous act of someone else. It’s important to honour the victim and their family, by catching this grotesque perpetrator, convicting them of their crimes. It also brings closure. It’s a terrible world we live in where the criminal only gets a few years in jail, while the families get a life long sentence of pain and misery. It’s an unfair form of injustice. If I were ruler of this world, it would simply be “eye for an eye”. So, it’s vital you have the right person or persons, responsible for the act of violence. It means you must look into all possible evidence and surrounding connections. But it also means, if the facts do not connect-the-dots, it’s time to concentrate onto the bloody trail of evidence, not on assumptions. Not relying on the possibility of getting a promotion. No! Not your selfish pursuit of greed. So who are the innocent? The innocent are those young adults and children, who still believe the word of authority, no matter how bizarre they may be. The word of authority can be your own parents, the local police or someone you look up to, thinking their word is protecting you from harm. But, in reality, they’re motive is to destroy you, no matter what the cost. These monsters are the most evil of them all, because they hide behind sheep’s clothing, ready to pounce on you, as the blood-thirsty wolves they’ve become. So what has this to do with Bari ? In the slumbering town of Bari lives an innocent. An innocent whose life was tormented by years of false convictions, fearful of how it came to be, in the beginning. In the beginning, where young love was the only thing on his mind. His love for an American girl. An American girl who was as innocent as he was. They had their young lives ahead of them when the unthinkable horror happened, intertwining them together. A horror of another innocent soul, who was savagely murdered by the lust of one monster. Yes, one monster did this cruel act. And the authorities did find their perpetrator, but for some strange reason, they decided to convict all three. The two love birds weren’t acting like their typical stereotype victims. Suddenly the prosecutor became an experienced psychiatrist, who knows everything there is about a person’s mental state. The human brain is indeed an incredible mind-blowing social computer, where even the most trained psychiatrist is baffled of its intriguing secrets. My mom whom I loved so much, died when I was only thirteen. And what did my sister and I do during the long Catholic funeral? We laughed. An uncontrollable laugh that made others question our thoughts. We weren’t laughing because we were happy. No. We were laughing because it was the only emotional response at that time. We had never been to a funeral before this and it was overwhelming, to say the least. If you’ve ever been to a Catholic funeral, it’s a precession of days of mourning. Hundreds of our Italian relatives show up, grieving in their own ways. And if you watched them closely, you know the fakers from the deeply affected. Italians are a community of families proud of their colourful culture and long history from the early Roman days. During a funeral, it’s common for Italian’s to slip money into the palms of your hand (be it in an envelope or worn out currency of their choice) in their way to express thoughtfulness. To any thirteen year old, you can easily find the humour. But to a supposedly trained detective or prosecutor, this may mean you don’t care. Your response is abnormal as you become scrutinized under a microscope. And so, there’s lies the evil, awaiting its unsuspecting victims. Its as if a pack of wolves are patiently wait for the kill, smacking their lips for their blood thirsty desires. It’s unconscionable to think they put aside the truth for their 15 minutes of fame. The families of Italy cry for a conviction fed from half-truths conceived from sin. After the real truth reveals itself in plain sight, my heart cries for the innocent. To end my story, I was relieved to hear the innocents were finally freed from their darkest nightmare. As for the poor girl, Meredith Susanna Cara Kercher, who was tragically murdered in Perugia, Italy on November 1st 2007, my heart still bleeds with sadness, as the perpetrator is soon to be released, after such an heinous murder. The families will never heal from the monstrous actions of one individual. I can’t even relate to this person as a human being, because in my mind, human beings are suppose to be the loving creatures, GOD intended us to be. In GOD’s eye, no one ought to accuse himself except in the presence of God. In my story, Archangel Michael will make his presence known on earth, leading his army of Angels, destroying evil once and for all. I know, it’s only a story. But in my heart, I trust in the judgment of GOD even though I don’t believe in any manmade religion on this earth. Maybe it’s my colourful heritage I rely on, where my name is Michael da Bari. As for the innocent ? PS So you see, there’s more to Bari then meets the eye. UPDATE : Received a couple of deranged comments about my story on TWITTER. It’s my opinion of the case. My style of writing is sometimes referred to the art of Picasso because of its dark content. The people offended are those who believe Amanda is guilty. Interesting they’re from the UK. Instead of giving their intelligent view of the case they resort to petty demeaning remarks. It quickly shows the character of the person, lacking education and most likely are a bully in the real world. If they seriously look at the case without their clouded judgement, they’ll soon realize Amanda and Raffaele are indeed, not guilty! Listen. I do feel sorry for Meredith and know how it feels to loose a child. Meredith’s horrendous death is extremely sad and the person responsible was convicted. That man is such a monster and should never be let out of prison. Last. Those people whose opinion are different then mine love to slander me, because that’s their level of mentality. I will never intertwine with this kind of response or go to their level of deameaning remarks. My heart goes out to Meredith Susanna Cara Kercher , and if there’s a GOD I trust he will convict the monster in hell. BTW writing for 50 yrs. When the new president-elect TRUMP EMPIRE takes office, I predict the top 20 changes to United States of America. Right now, we still have freedom of speech, but that will change drastically in United States. The TRUMP EMPIRE will appoint a cabinet of white supremacists and war-mongers – oh wait! That has already happened 😡 The Team of Racists has started. Trump will close down the borders. Muslins will no longer be allowed to enter United States. A register for Muslims in America will begin, using tax forms as a way to identify ; a discreet approach marking their fate. Relations with Canada and United States will at first be business as usual, until talks of Free Trade. Prime Minister Justin Trudeau is no match for the TRUMP EMPIRE. Trump will change laws of United States to suit his TRUMP EMPIRE, including less taxes and better incentives for the rich. He will spend billions to find illegal immigration in his country. A new order of SWAT TEAM nicknamed American Swat Troopers (AST) will be assigned to hunt down illegal immigrants, charge them with a criminal convection and sending them back to Mexico, or whatever country they came from. Each is marked with a tattoo. Ties with Mexico and United States will become a Cold War state. The TRUMP EMPIRE will warn other countries, if they do business with Mexico, it will mean they are enemies of the United States. He will have good relations with Putin and will let Russia do all the dirty work. The TRUMP EMPIRE will just sit back and watch it happen. In fact, Russia will eventually invade Canada’s Northern Region and claim it as its own. United States will sit back and say,”We have more pressing problems then worry about Canada. If they had a stronger military force instead of relying on us, maybe they wouldn’t be in this situation.” Meanwhile Syria is taken over by its dictator Assad. Unknown to the TRUMP EMPIRE Putin is using America as its puppet. Putin agrees to extradite Snowden, placing him in the custody of the United States. Snowden possible faces the death penalty. The TRUMP EMPIRE will limit media interference, controlling free speech. Corporate media will be heavily fined and possible jailed, if they publish anything against the TRUMP EMPIRE. White extremists will freely carry out HATE CRIMES across United States and Canada. Sixty percent of Americans will agree with any announcement the TRUMP EMPIRE claims, even if it’s false. TRUMP will continue giving out false statements, encouraging white extremists to lash out, even though publicly he’ll tell them to stop. American Women will become second class citizens. The only women to succeed are those related to the TRUMP EMPIRE, or who will financially support Trump’s businesses. In reality, the TRUMP EMPIRE excels, while he uses women for his benefit. TRUMP EMPIRE will begin to break laws using his self appointed Judge in the American justice system. Congress will object and try to pass a law to prevent the unconstitutional force by an appointed Judge. The TRUMP EMPIRE will use a “Pocket veto” exercising it in favour of the TRUMP EMPIRE. The TRUMP EMPIRE will decrease funding to schools and education. An uneducated population is easier to manipulate under the TRUMP EMPIRE. ObamaCare will be crushed into a useless health system. In America, it business as usual, where the rich get richer and the poor become lower-class citizens where their own children will starve. The social system completely collapses, as Trump states,”Our financial system can no longer support the strain on our America taxpaying citizens. You need to feed your families? Get a job!” Hundreds of thousands of people will be on the streets, homeless. Pay rates decrease with a shadowing program implemented by the TRUMP EMPIRE. Advertisements will boost, ” Register for our SHADOW JOB PROGRAM, insures you a job and a roof over your head. The labour board objects, as they find the program is turning paid jobs into slave labor with pennies on the dollar. A SHADOWING APPRENTICE has less pay with no benefits. The homes the TRUMP EMPIRE promises are built by Trump businesses. Each apprentice must work 6 days a week, 15 hours per day to receive a high interest rate home. The rate is so high it’s impossible to payoff the home. Crime in United States skyrockets. It’s no longer safe on the streets. Americans referred it to “Purging America”. Each city and State implements curfews. It’s too late, as citizens take revenge. American cities become an open-firing range on the streets. Hundreds of innocent victims become targets on a daily basis. The death count rises. Riots on the streets in every city of America becomes the norm. The TRUMP EMPIRE hires its very own political FILM DIRECTOR, promoting his own propaganda. The American people will become brainwashed into thinking the TRUMP EMPIRE is really for the benefit of all Americans. The TRUMP EMPIRE will beef-up both border crossings, adding strict guidelines. These guidelines can pass the newly imposed “Red Tape” if it’s a business supporting the TRUMP EMPIRE. Muslims already in United States will try to seek a more friendlier country to live in. Money from Saudi Arabia in the United States will relocated, as they sell off their real estate holdings. Non-American citizens will be denied citizenship. Over three million illegal immigrants will be hunted down and processed, given a MARK of being a criminal. Even though they won’t bear a physical ban, cleverly it will be disguised electronically. Camps for processing will appear, not only for illegal immigrants but for Muslims. Hate crimes will go rampant in United States, where white extremists will basically get away with murder. Trump businesses will excel like never before, with conflict-of-interest cover ups. Politically, Trump will help allies, Putin and Assad, providing them with either military firearms or turn-a-blind-eye to any involvement, stating,” It’s not Americans problem.” Russia will begin invading Canada, claiming the northern region. War breaks out in Mexico, fuelled by the TRUMP EMPIRE, through the interference with the CIA. Street protests escalates, making the ’60’s look like a walk-in-the-park. TRUMP EMPIRE sets up a new law, making it illegal to protest. Thousands of Americans are arrested, as some die for their cause. I hope my above predictions are wrong, but I highly doubt the TRUMP EMPIRE will benefit Americans and it certainly won’t be of any value to Canadians – it’s no longer the secret love affair of the two countries. Because the Canadian government didn’t beef up its military, Canada will become easy prey to Russia. Will this be the end of freedom as we know it ? The next four years with the newly-elect president Trump controlling its citizens, will indeed be the darkest time against the freedoms of the American Constitution. The first four years, Canada will experience a colder border along with failed FREE TRADE agreements. Alberta’s pipeline agreement may go through, but at a cost to all Canadians, American farmers and the environment. I feel sorry for the American media, as they’ll become increasingly attacked by the TRUMP EMPIRE. The real truth will be hidden from the American people, with a new propaganda media source approved by the TRUMP EMPIRE. Congress will try to stop the TRUMP EMPIRE from growing but his Team of Racists will begin to arrest politicians who go against the TRUMP EMPIRE. The FBI will form a new task force known as the TRUMP TEAM FORCE. Being to obvious of a name, they change it to the FBI DIRECT FORCE. All forms of communication will be easily accessed by the FBI. Because of the TRUMP EMPIRE TEAM and propaganda, TRUMP will enter into his second term as president. Once again, the electoral system will be compromised by the help of Russia. American will never be the same, resembling a close sister country to Russia. We’ll see what happens in the next year. I hope I AM SO WRONG ! Is this the new American Dream ? You and I know, a director, filmmaker or producer rarely answer back to your submitted letter, but you have to try, right? I thought I share my letter to Michael Moore with you, the public. It goes to show you the real world of submissions. It’s also tells you, only 1 % of the film industry will answer you back. In fact, the corporate film producers will bluntly tell you (on their website), if you send in your screenplay, it will be destroyed without them even reading it. The reason is obvious. Thousands upon thousands of screenplays would show up at their door. So what can a screenwriter do? Above these prices, it’s no longer a low budget film. Attracting buyers for your screenplays is certainly a jungle, so my method is writing on the internet. If a potential director or producer reads your work and likes what they see, they will contact you. This is why I always give my contact through LinkedIn. It’s the best way without being bombarded with spam. LinkedIn provides good business connections but you still have to stay vigilant. Once in awhile I’ll receive contact by a celebrity, (impressed by my work) but even if the connections work, the project urgency takes the back burner. You can stew over the same project for ten years before it’s even looked at. I’m always writing new storylines finding a potential audience. With the American newly elected president Trump, its obviously this hot topic is presenting itself quite a controversy. We’ll see what happens in the next year, but I’m betting there will be tons of protests. Really, am I seeing history repeat itself? Lest We Forget ! What will this mean Canada ? Only time will tell. I’m going to make a prediction. If the TRUMP empire makes it a second term, we should expect an invasion into Canada. That’s what empires do. I am writing in reference to the current situation with Americans newly elect president Donald Trump. Canadians (with a brain) are worried about the implications of the TRUMP EMPIRE destroying the Constitutional Rights of the American People, as well as it becoming detrimental to Canadians and the rest of the world. I have a proposal for you, Michael, that will give Americans and Canadians a voice to the current situation. Would you be interested in producing a documentary film called,” Free Americans from Donald Trump” in collaboration with this Canadian. A documentary about the implications to all Americans with Donald Trump as President, including the possibility of Americans fleeing United States to avoid the wrath of the TRUMP empire. The reality of entering Canada with the complications that may arise. A preliminary written discussion with Mr. Michael Moore to collaborate project, here in Canada and United States. A comic but dark satire of its reality. Imaginary sales pitch announcement by Canadian News Media, introducing policy changes for Americans entering Canada under the new revised visa applications by Prime Minister Justin Trudeau. We then turn to the protest of the people for the people of America. Meanwhile we follow the TRUMP empire, as freedom (we so dearly pride ourselves as a democratic society) crumbles before our very eyes. You see as Trumps family take on leading roles, abolishing laws, reducing healthcare and attacking the system for the people. United States slowly transforms into the fictional warlord of “Back to the Future“, Biff Tannen. Biff Tannen‘s (Donald Trump) greedy conquest has taken over America on the backs of Americans. In conclusion we state the obvious. Michael, I am in concept mode, drafting out screenplay and Locations shots. I’m proposing a release of the draft script in March 2017, but will provide it sooner, if you’re interested in a collaborating effort. We could make an announcement in May 2017 on website colaborator. We Canadians are closely following President elect Donald Trump including Instagram follow-ups under the heading #notmypresident and (of course) your Instagram feed. We could also start a Kickstarter campaign with your personal presentation video, promoting the documentary film. I already know there’s an increasingly number of Celebrities, Directors, Producers and Politicians who are deeply discouraged with the newly elect TRUMP empire. With the Kickstarter, we can encourage them to help fund the project. The goal of this documentary is to increase the awareness NOT only in America but across the world. How long will we be able to warn the people of America, before the TRUMP empire passes a law, making it against the law? My name is Bari Demers. I’m new in the filmmaking industry but have written countless screenplays. 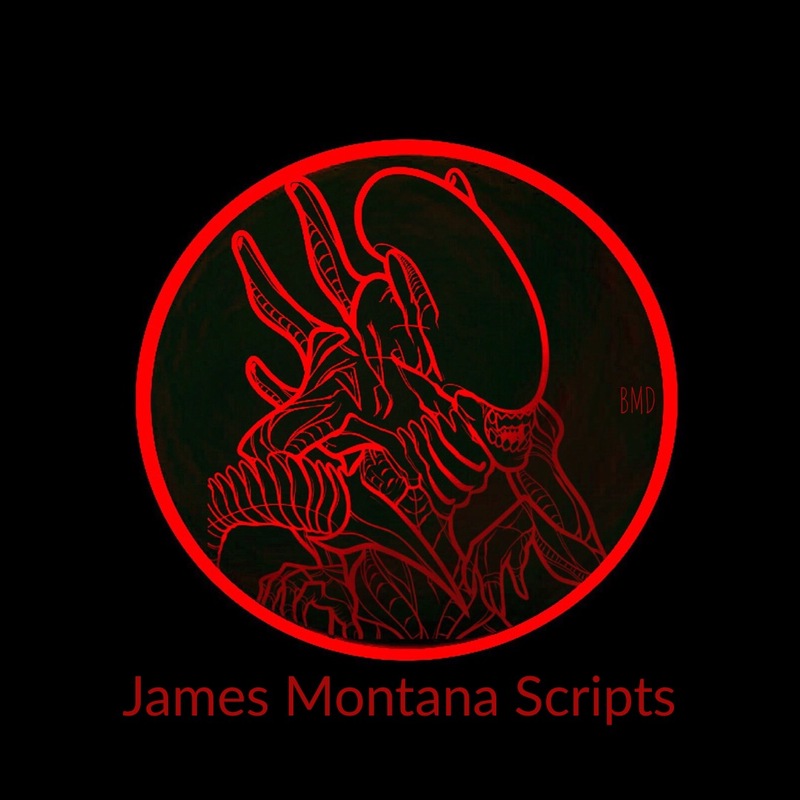 I use my website : JAMES MONTANA SCRIPTS as my home base, promoting my screenplays and introducing stories, in regards to my DREAMS and REALITY. I have had a diverse career from an architecture drafting tech to an artist. My writing background goes back to my college days in 1975. I could go on but I already know this introduction letter is mighty long. I trust in your judgement Michael and would be encouraged if you said YES to guiding me along in our documentary conquest. Last question : What would you do if TRUMP empire takes over the Freedom of United States ? I look forward in your response to my request. Thank you Michael for reading my proposal. Don’t worry, I’ll teach you how to say “Eh?” at the end of each sentence. A Dream is nothing more then an illusion of our reality. Our reality is only related to the physical world, where the world plays an illusion of our dreams, we continuous strive for…but never to obtain. As we play with our consciousness, we realize our physical being is nothing like the unreachable replica of our dreams. In our world of reality, our brain directs our senses, picking up the world for what it really is. It’s a cold calculated, unforgivable entity reminding YOU, you’re not the master of this physical world. Any mistake we encounter may lead our physical bodies to feel pain and sorrow. Curiously though, our brain (we so depend on)never feels pain. It’s an illusion playing with our reality. Our brain always plays tricks on us to believe we are conscious, therefore everything we see, must be real. The senses controlled by the brain, makes sure of that. Until we fall back into a dream. In a dream, our brain frees us from the reality of the physical world we live in. Suddenly we can do anything our mind dreams we can do. We can fly, feeling the cold wind across our face or have the ability to jump precariously off high buildings, landing harmlessly below. Our dreams can race us across the universe, exploring an unknown planet. A deadly planet filled with harmful gases or incredible G-forces, that would surely crush us, if we were in the physical world. But, here we are, unharmed. In a dream, our personal self finds that prefect lover, waiting for us, ready to fulfill our dreams. While in the physical world, we are desperate to seek for our true soul mate, knowingly it’s only a dream. Alas, in the real world we are willing to settle for someone close to our dreams, because we already know our image of perfection is only perceived in our dreams. Our brain rules our consciousness, telling us there’s a higher purpose or a higher entity. We concede to our consciousness and give it a name. We call it GOD. This controlling brain of ours even goes one step further, explaining to our consciousness, if we can’t explain what we see, then it must be the act of GOD. You would think our brain is finished controlling our thoughts. But no, it continues to push us forward, pushing us towards an inconceivable thirst of knowledge, seeking out an unattainable truth. Seeking out the truth of who we are, what we are and where we are. If we can’t find an definitive answer, we look even deeper then before, until we realize our answers are filled with yet more unanswered questions. Our brain never gives up until the day we die. Lucky for us, even our brain needs to rest. In this time of rest, our brain collects and organizes data as if we were defragmenting our own computer. As we sleep, it’s believed this processing time is acted out in our dreams, in a mix match of bizarre images. It’s mind blowing effects would impress any Hollywood director. Curious though, our dreams are as real as if we were awake. I say to you, our Reality is but a Dream. We explore the possibility, our real physical world is nothing more then a test, preparing us for a more deeper meaning, releasing us from life, altogether. As the Egyptians Gods, we continue on a journey surpassing anything we have ever encountered before. Once your mind realizes, our reality is nothing more then an illusionary dream you’ll become disillusioned, wonder why we even play this game at all. A world of complete madness, fed by human games where the stakes are high. Our misguided society worshipping celebrities and leaders like gods, offering our souls to their commands. We are such a silly human being. In this world, we must constantly free ourselves from this insanity. And we do, by expressing our souls to the inner spiritual self, through music and our artistic abilities. As an actor gives everything to create that character, so do musicians, pouring out their heart and soul. As for me, I’m an artist with words. My words could easily be refer to as Vincent van Gogh’s Art, an impressionist with a hidden message. Reality controls the limitations of physical bodies, whereas our dreams free our souls along a wondrous journey. Free your soul from the darkness and follow me on a journey of dreams, where our future is exposed. Thank you for all the brave Canadian men and women who served, fought and sacrificed their lives protecting us from harm. It’s a sacrifice we will never be able to repay. 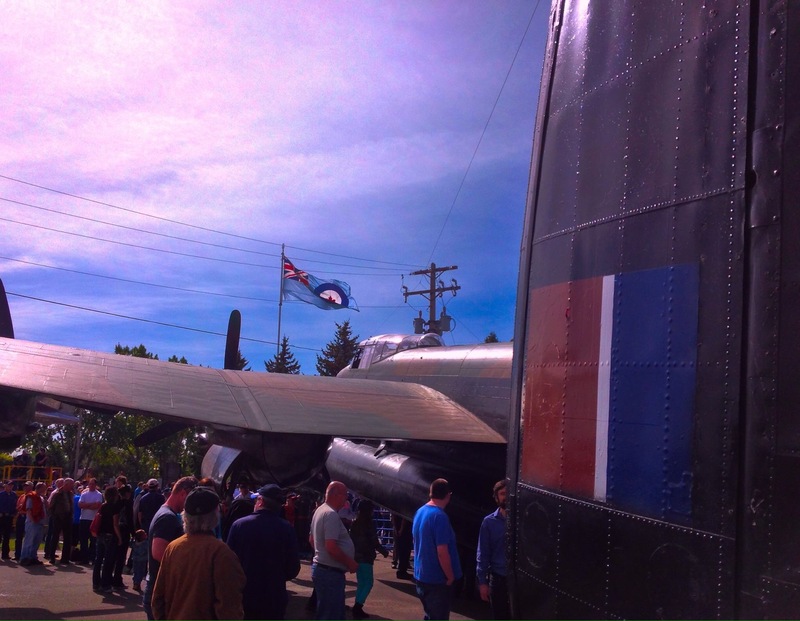 The photos I’m showing today is years of rebuilding of the Lancaster Bomber in a small town, Nanton, Alberta. It’s south of Calgary and 30 km from High River, Alberta. At the Bomber Command Museum, it’s been years of hard work trying to find parts to rebuild a Lancaster Bomber. 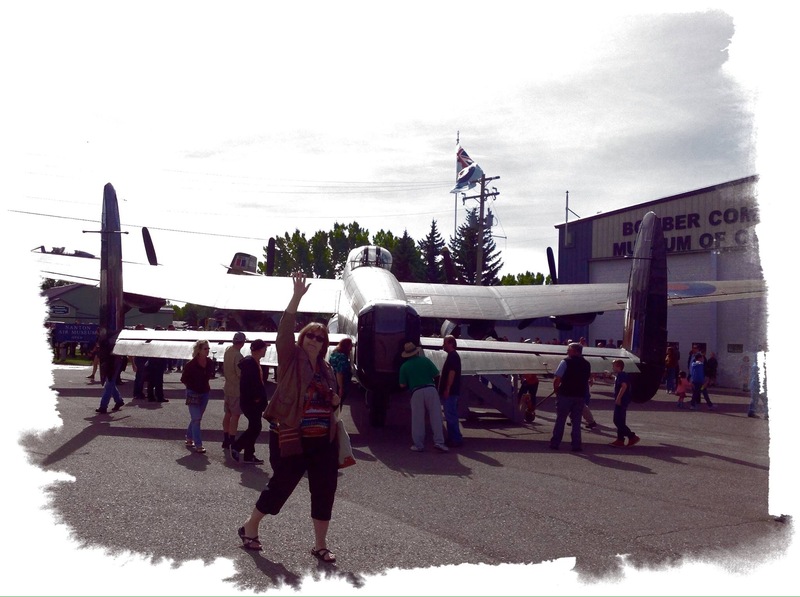 I’ve been in Nanton a few times to see the progress of the Lancaster Bomber. First years they started up two engines and last year they were able to start four engines. Remembrance Day to me, is in remembrance of my Uncle Marcel Demers. He went to WWII not really understanding the magnitude of what was waiting for him. 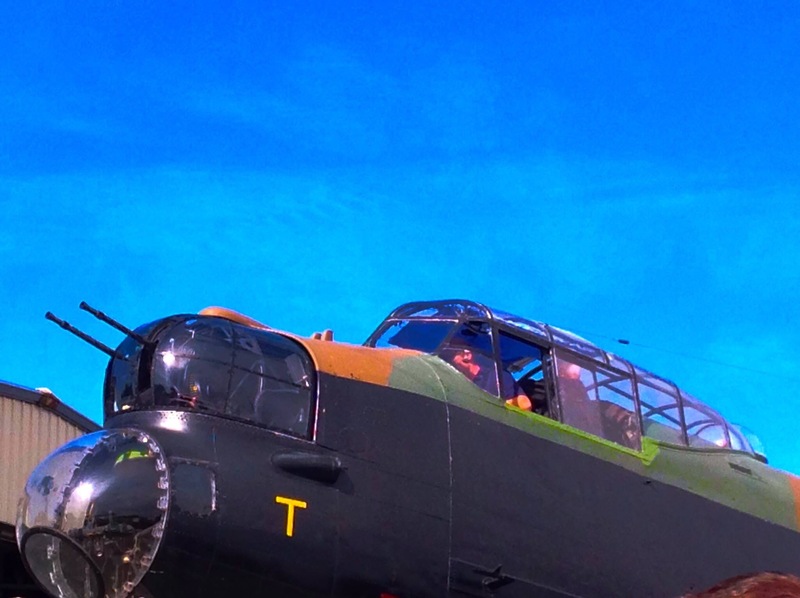 He was assigned to one of the Lancaster Bombers in England, after his training in eastern Canada. Within 6 months of being active in WWII his plane, along with the rest of the crew crashed in Europe. Miraculously Uncle Marcel survived the crash. He spent the next 6 months in the hospital and was then shipped back home, to Edmonton, Alberta. What I remember of my uncle, he was a hard worker and around me, always cracking jokes. Being your typical Frenchmen he loved hockey, inviting his relative, Jacques Demers to his home, while he was in town. I was just a young kid way back then. Had no idea I was related to Jacques Demers, head coach to the many different hockey leagues. Apparently ( and I didn’t know this ) Jacques Demers had the opportunity to coach Wayne Gretzky in the 1979 WHA All-Star Series. It’s been said, Jacques Demers asked Gordie Howe if it was okay to put him on a line with Wayne Gretzky and his son Mark Howe. What’s funny, I’ve met Wayne Gretzky at the Edmonton Petroleum Club and he had no idea, I’m related to Jacques Demers. I shook Wayne Gretzky hand, but I was never allowed to talk to him on a personal level. To think of the connection – it’s a small world, really. 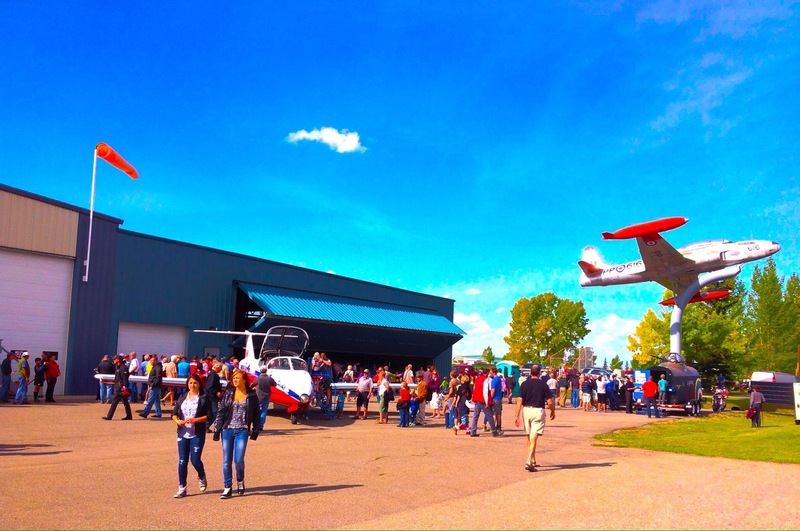 Getting back to my Uncle Marcel Demers, he would drive me around showing me the planes taking off at the municipal airport in Edmonton, Alberta. 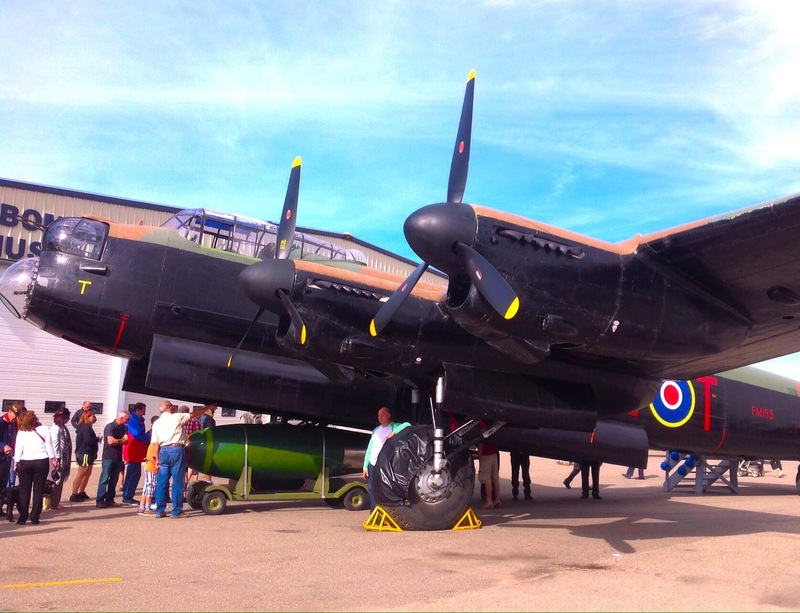 One day he told me he had a real treat to show me, as a Lancaster Bomber landed in Edmonton. My goodness – I remember looking through the gates as this massive flying machine coming down the tarmac. And loud! I believe I was only 8 years old back then. Excited to see this Bomber land, my curiosity got the best of me, I had to ask him about his time in WWII. Unfortunately, it must of been a very bad memory, as he refused to talk further about his experiences during WWII. To me, Uncle Marcel was a good nurturing uncle, who made me laugh, but whatever happened to him in WWII, left a deep hugely scar and most likely Post-traumatic stress disorder (PTSD) , a term only used after 1980. So in his time, it was just known as the raw wounds of war. He never told me, but I’m assuming his crew didn’t survive the crash. Uncle Marcel wasn’t the pilot but possibly the bombarder. WWII was a war itched into his brain, and no matter how he tried to forget, he couldn’t. So you see, war effects everyone. Not only the brave servicemen but all the families who have lost loved ones. For the soldiers who have come back, they are never the same. Even as a young kid back then, I could see how bad it effected my uncle. War is a terrible thing and those who served deserve our deepest respect, as we will never repay them for their sacrifices. My Uncle Marcel has passed away, but I will always remember his love towards me and his service during WWII. I remember and Lest We Forget – never ever should we have another war. I Hold true to “In Flanders Fields” a poem written by Canadian physician Lieutenant-Colonel John McCrae, during WWI. As we mourn the lost of Leonard Cohen, we remember his voice to ” In Flanders Fields”. He too was Canadian, born in Montreal, Quebec. Our Freedom at a price. Too much blood has been spilled to ignore the sacrifices. Please respect and hold your freedom close to your heart. Without that freedom, we have nothing to stand for, as a country, a nation, or as a civilization. Thank you for allowing me the freedom to be able to Explore Canada. Our Freedom at a price. It’s a sacrifice we will never be able to repay. Please read more about our Freedom. PS. – I wanted to show you a video of the Lancaster Bomber, but I’m still trying to get this video uploaded, so hopefully tomorrow I can show you.